Bombay Bicycle Club and Island Records are giving you the chance to make their next music video for 'Lights Out, Words Gone'. The winner will get £2500 and have their video serviced to media globally. There are few things in music more exhilarating than the sound of a young band in a hurry. Velocity, hunger, surprise: these are the qualities that keep a band interesting. Bombay Bicycle Club’s third album in as many years reminds you there was a time when new bands put out a record every year or so, each one expanding their territory and making listeners reassess their assumptions. As its title promises, A Different Kind of Fix is not at all what you’d expect. It is the sound of a band throwing the doors wide open and confounding all preconceptions. The band members have never wasted much time. 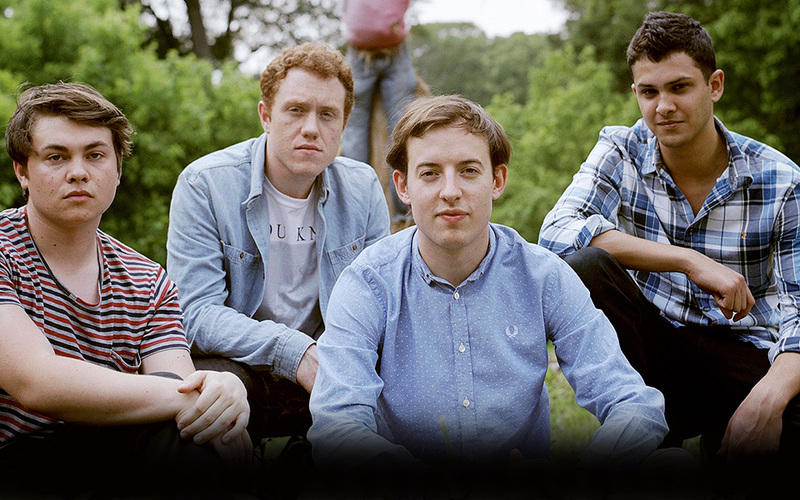 Frontman Jack Steadman, guitarist Jamie MacColl (grandson of folk legend Ewan, nephew of the late Kirsty), bassist Ed Nash and drummer Suren de Saram formed the band at school in north London in 2006. They won a competition to play at that year’s V festival, released two EPs the next year and wrote their debut album, I Had the Blues But I Shook Them Loose, while still at school. It came out in 2009 and went gold. The band reconnected with long-time producer Jim Abbiss (Arctic Monkeys, Kasabian) in London last autumn and again in Hamburg in February. They also traveled to Atlanta in April to record Shuffle, Your Eyes and Favourite Day with Ben H. Allen (Animal Collective, Gnarls Barkley, M.I.A.). Tinie Tempah was in the studio next door. “He came in,” says Jack. “’Oh I’m a huge fan, when are we going to collaborate?’ He was charming everyone.” Finally, it was mixed by Craig Silvey (Arcade Fire, Portishead, the Horrors). “We’d always talked about making an album in one place with one producer and we ended up with the complete opposite,” says Jamie. Throughout the album, the production is intrinsic to the songwriting process rather than a final polish. Many songs started out as laptop loops or rearranged samples before blossoming into full-band pop songs. How Can You Swallow So Much Sleep, which appeared in demo form on the soundtrack to Twilight: Eclipse, opens the album with eye-widening mantric dream-pop. The first single Shuffle compresses hip hop breakbeats, highlife guitars, chopped-up piano samples and the campfire psychedelia of Animal Collective into one of the most irresistible pop songs of the summer. Lights Out, Words Gone makes common cause with chillwave via looped vocal harmonies and dewy-fresh Balearic guitar. Take the Right One’s scintillating, multi-layered sound came about when Abbiss suggested recording four different versions, each one more effects-heavy than the last, and then playing them back all at once. Leave It even lifts its opening motif from a Puccini opera, recasting it as stirring guitar-pop with backing vocals from singer-songwriter Lucy Rose (who also appears on Lights Out, Words Gone). Other songs had a more traditional evolution. The legacy of Flaws is felt in Beggars, which moves from spartan folk into thrumming rock and celestial sighs, and the sonorous Fracture, a song from the Flaws tour that was filled out, recorded in a church and produced by the whole band. What You Want (“about being a pushover in relationships”) builds a bridge back to the debut and, further still, to the resonant, raincoated indie-rock of the Chameleons and Kitchens of Distinction. The final, self-produced song, Still, is a falsetto piano ballad with hints of Thom Yorke, a gentle touchdown after 50 minutes of sonic adventure. Bombay Bicycle Club have always had youth on their side. Through touring and social media, they have built a fiercely loyal, tattooing-lyrics-on-their-arm kind of fanbase. “I’ve always thought it was because of having fans who were the same age as us who could come to talk to us after a gig and relate to us,” says Jack. But A Different Kind of Fix is a giant step into adulthood: an intoxicating, enveloping record, which anchors its diverse inspirations in the warmth and dynamism of Jack’s songwriting. It draws the strands of I Had the Blues, Flaws and Jack’s solo instrumentals into a panoramic picture of what this band is capable of. It is a watershed for the band: not just their best record yet, but a promise of still better to come. Long may they continue searching. By Renato Blasetti, Daria Di Mauro and all the beautiful dancers of Mérida, Mexico.